†Mobile alerts from Presente. Periodic messages. Msg & data rates may apply. Text STOP to 225568 to stop receiving messages. Text HELP to 225568 for more information. Terms & Conditions. I’m writing to demand that you immediately stop the waves of deportation raids targeting children and families who fled violence, primarily from Central America. Since 2014, at least dozens have been killed and more targeted each day shortly after being deported to countries in Central America. Your administration is sending refugees back to their deaths. It’s an affront to the values of the United States, and a possible violation of international law. Reports indicate widespread problems with due process for children in immigration proceedings: many of those ordered deported never received notification to appear in court, and never had a chance at a fair hearing. This is largely due to the accelerated and aggressive deportation processes put in place recently by your administration. In the context of these due process problems – and the ongoing danger of violence faced by Central American refugees – it is irresponsible, dangerous, and inhumane to proceed with large scale deportation raids. The Obama administration has launched a new wave of deportation raids targeting children and families who fled violence in Central America. Since 2014, at least dozens have been killed and more targeted each day shortly after being deported by President Obama's administration. Many of the children targeted for deportation are facing a rushed, unfair process that gives them little or no chance to make their case in court. Children have been ordered deported after not showing up in court – despite the fact that they never received a notification to appear. The accelerated, aggressive deportation processes put in place by the Obama administration have overwhelmed the courts, and cause these due process violations. To send refugees back into dangerous situations – especially without a fair process – goes against the values of the United States, and it may violate international law. 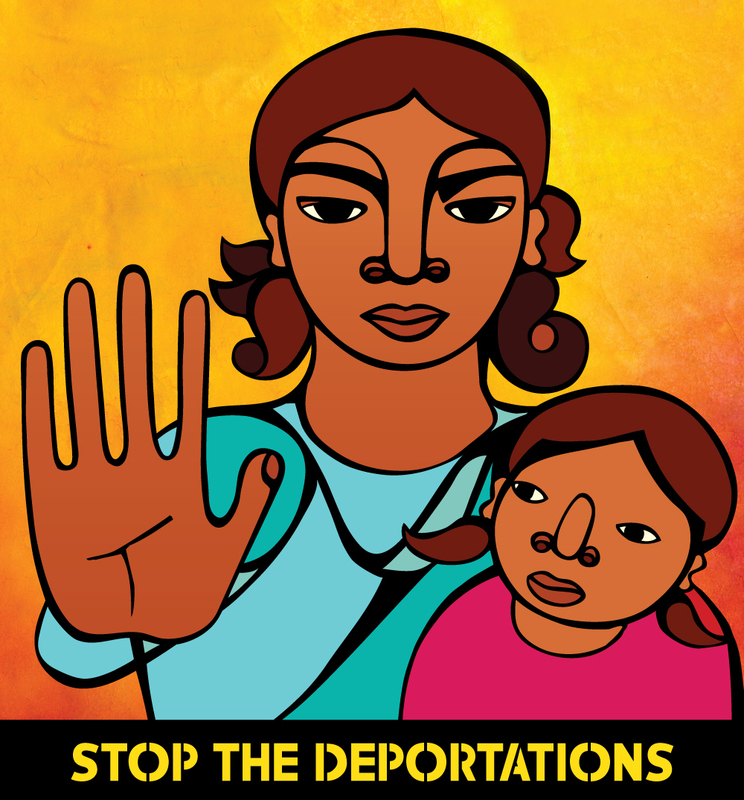 Join us in demanding that President Obama immediately stop these and other deportation raids.